Trust comes first. Employers should lead by example and ensure that staff can trust them 100%. Like any relationship, starting with trust as a foundation will go a long way in reassuring your employees that they can speak about anything that might be worrying them. A big part of this is having an open-door policy. If a member of staff feels they cannot trust an employer with sensitive information, or an issue that troubles them, then they will take it elsewhere or keep it to themselves. Trust not only has a massive effect on bringing up sensitive issues, but it also gives employees the confidence to pitch new, brave and exciting ideas to colleagues and clients. Trust also has a lot to do with how your policies are implemented. A clear, structured process is far better than one that is overly-complicated, or one with a worrying amount of small print. If, for example, an employee feels they have to report a fellow colleague then this is already sensitive ground for them. It doesn’t have to be – make your processes jargon-free and easy to understand. It is vital that a company breeds a culture on reporting, and stresses how accessible reporting is. 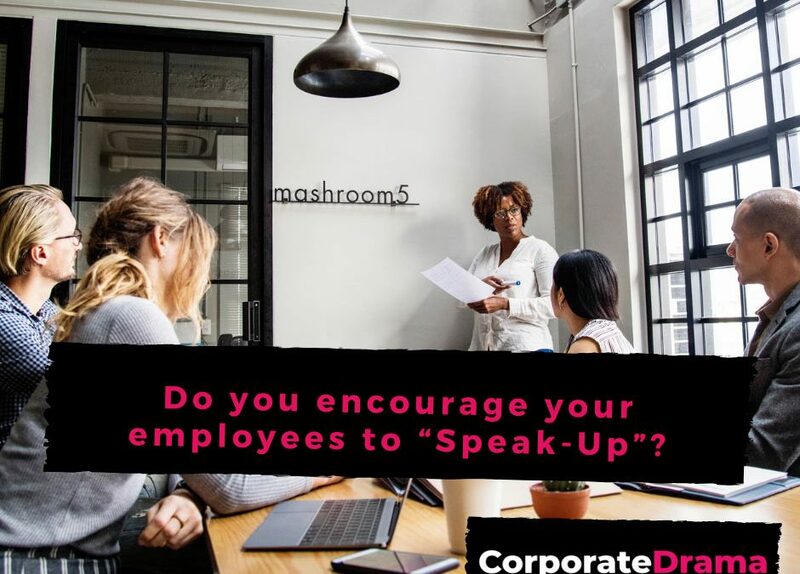 A “speak-up” culture will help lessen the stigma around workplace reporting and alleviate any worries, concerns and issues. Creating trust through removing the stigma of reporting on colleagues can be achieved through reiterating there is no consequence to doing so and creating an atmosphere of honesty and transparency. But how can you really get your employees to engage with it? It should be properly addressed during the induction phase with clear parameters of what actions they can take if they see untoward conduct occurring and highlighting reward versus consequence. Once you have instilled a sense of confidence and a culture of trust within your workplace, it is now time to draw up some detailed grievance procedures. Having your staff understand what processes exist, will make them feel comfortable should an issue arise. It is imperative that you promote a culture of transparency by ensuring everyone is responsible for continuous feedback, across all levels of the company. Of course, the implementation of policies is not quite enough. Employers need to be following up these policies by speaking to staff and getting their views “How has this worked?”, “Do you think this has had a positive, or negative effect on productivity?” Staff satisfaction translates well into all other areas of business, productivity is proven to be far higher when staff are happy, motivated and well-adjusted. This also improves reputations, as it gives you the opportunity to present the business as a strong advocate of employee happiness and satisfaction.